Double the wire, Double the fun! 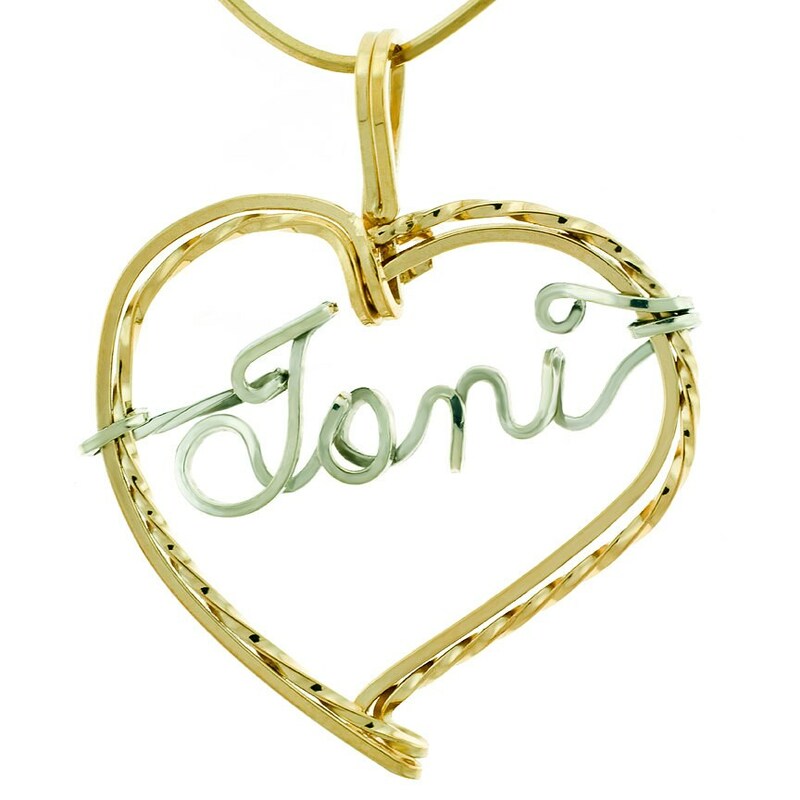 This Heart Necklace is strong enough to take whatever she can throw it's way. 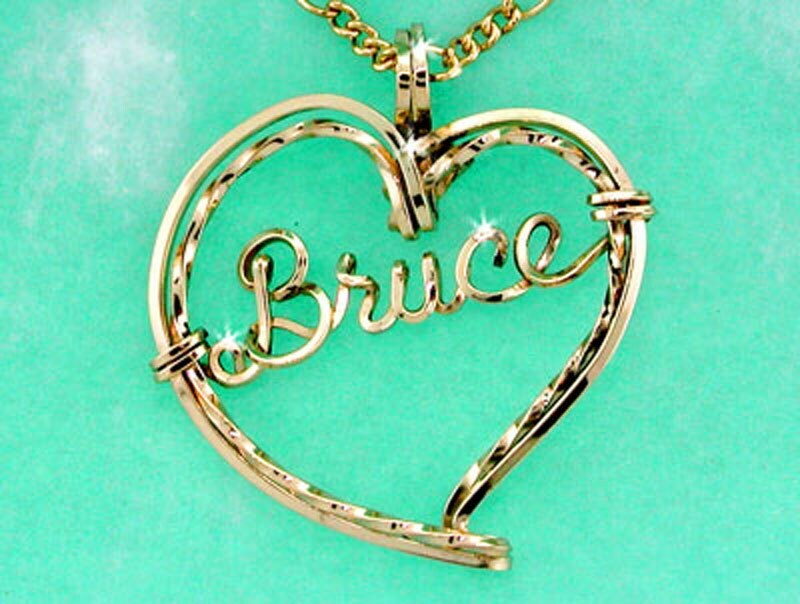 Designed with "Any Name" you want and available in gold, silver or a combination of the two. What better way to say "I Love You"? Any name you want up to 8 letters.